During my stay in the Indian Capital, I hunted for you some of the really fun and out of the box things to do in New Delhi to add to your list. Let’s discover them together, shall we? If there is one good lesson I learned during my many months of traveling is that there is much more to experience in a city than simply visit its famous landmarks. Don’t get me wrong! I love landmarks and historical sites but I don’t travel to only see that. It would be so sad and boring! While traveling India, I discovered that New Delhi has endless options when it comes to cultural, spiritual and historical landmarks. I came out with the conclusion that no matter how much time I would spend in New Delhi, it will never be enough to discover it all. Therefore, I decided to go make a list of the Main Landmarks that attracted me the most and then spice it up with some fun and unusual activities around the city. I would recommend you to do the same while traveling to big cities. It always makes your stay better to have some fun doing unusual things that you would not do back home. It also gives you some kind of break from long sightseeing days. Here is my list for the unusual activities you can in New Delhi. Now this is a fun activity to do. Fly like a bird only an hour away from Delhi. 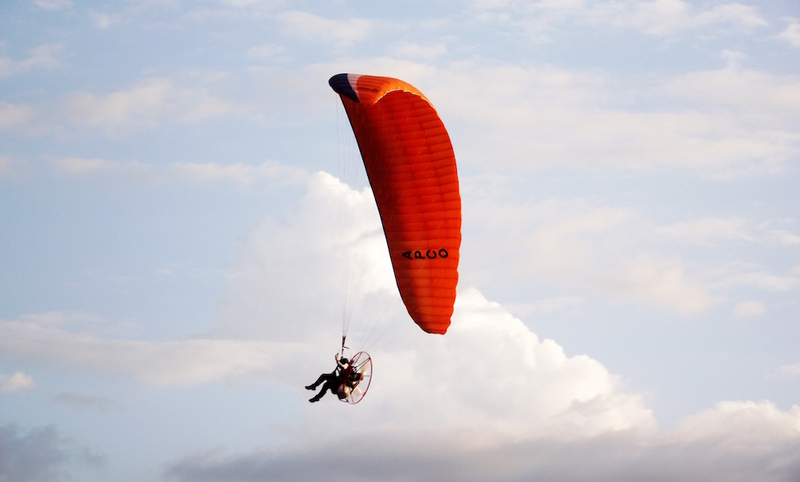 The Flyboy offers what they call “the air safari”, a Paramotor Flying experience that will please the most adventurous of you. Get to enjoy the spectacular sights from the sky and fulfill your adrenaline need all in once. Try it and let me know how you liked it. For the outdoor activities lovers, rock climbing is also another nice activity you can do around New Delhi. There are several climbing areas and some indoor gyms that offers climbing walls. I suggest checking out the “Aravali Biodiversity Park” in Gurgaon. It is by far the best rock climbing spot around Delhi. You can see monkeys and even do Rapelling if you wish. I would recommend to start early morning to avoid the very strong sun. I don’t know about you, but I personally love biking around cities I am discovering. 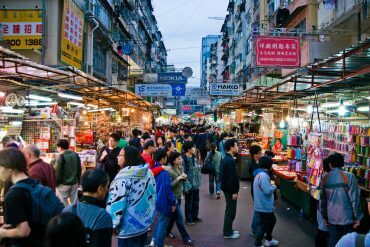 I enjoy getting lost in the streets, being astonished by some hidden spots, and exercising a little while having lots of fun. 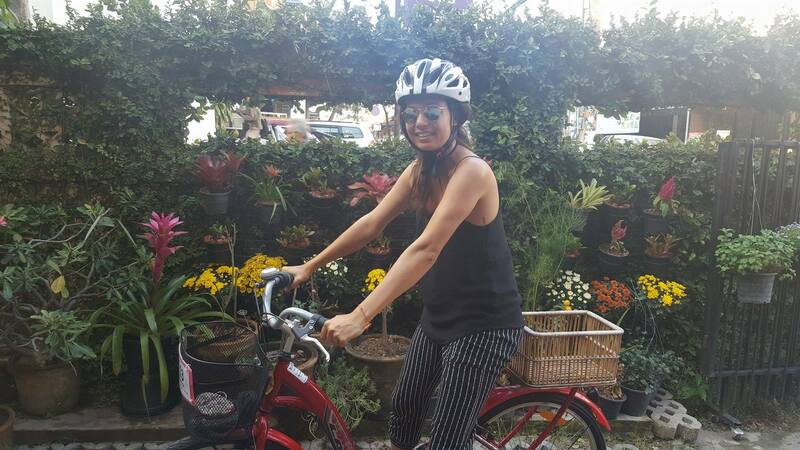 For New Delhi, I would recommend to bike with groups or get a bicycling tour around the city. New Delhi is chaotic and you better be with people that know about the routes to take. Check Delhibycycle.com They offer several options of routes and you can choose the one that suits more your needs or desires. That way, you get to enjoy the ride without really worrying about the itinerary. If you like to challenge your self, and feel the adrenaline flowing all over your body, these are outdoor activities made for you. Some miles away from New Delhi, The village Adventure Camp offers several packages of activities such as high rope courses or obstacle courses that are fun for adults and for kids. A day at village adventure camp is really nice way to spend time with your family or simply challenging your self. Any of you love Disney Land? Well, Kingdom of dreams would be the very Indian version of it. 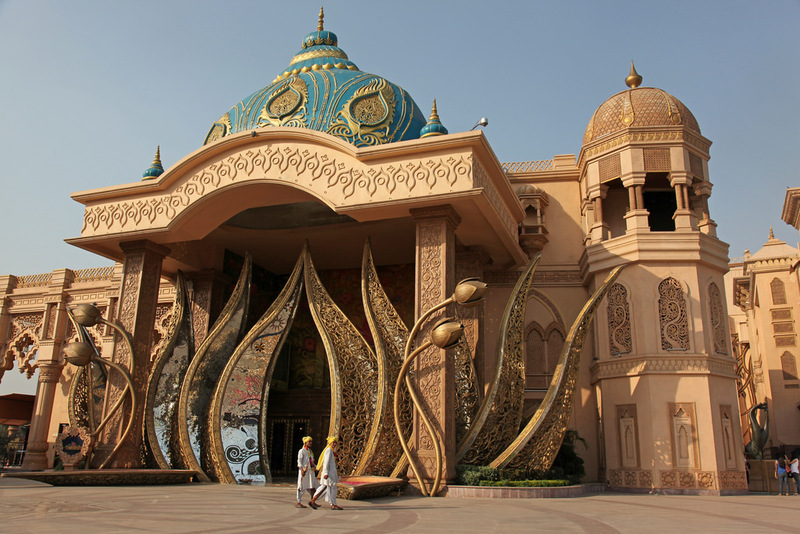 This entertainment park will dive you deep into the colors and the folklore of India in a very unusual way. Consider spending a full day there to enjoy it to the fullest. Indian food is one of the most flavorful and rich cuisines I got to try so far. It is a whole world itself that certainly deserves to be discovered. And what a better to do so than to learn how to cook your favorite Indian Dish? There are so many options to choose from when it comes to cooking classes in New Delhi. What I would suggest is to choose one that is close to where you stay and that offers small group classes. Yes! This may sound very weird and unusual knowing that New Delhi is of the biggest cities in the world! Indeed, finding wild life in such an urbanized context seems almost unreal! But yet it is possible! 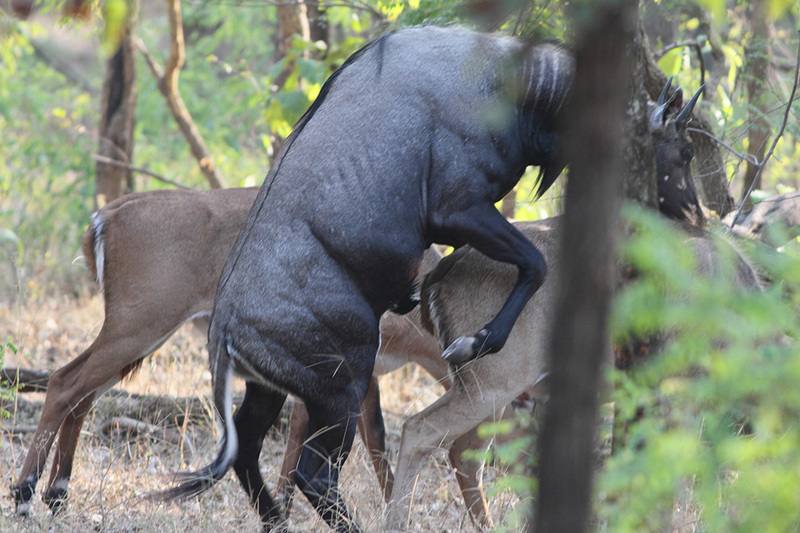 One of the best out of the box activities you could do in New Delhi is go and find some wild Nilgais also known as “Indian Blue Bull”. They are not always easy to spot but your best chances to see one would be in the “Reserved Forests” in South Delhi, around the “Jawaharlal Nehru University” or near the “Tughlaqabad Fort”. We all, at least once in our lives, thought that it would be great to be able to get the moves like in the Indian movies. Well, here is your chance to dance like a Bollywood Super Star. There are plenty of options to choose from when it comes to dance classes in New Delhi. Choose a school that is close by your hotel and that has a small group of students per class. You will simply love it. 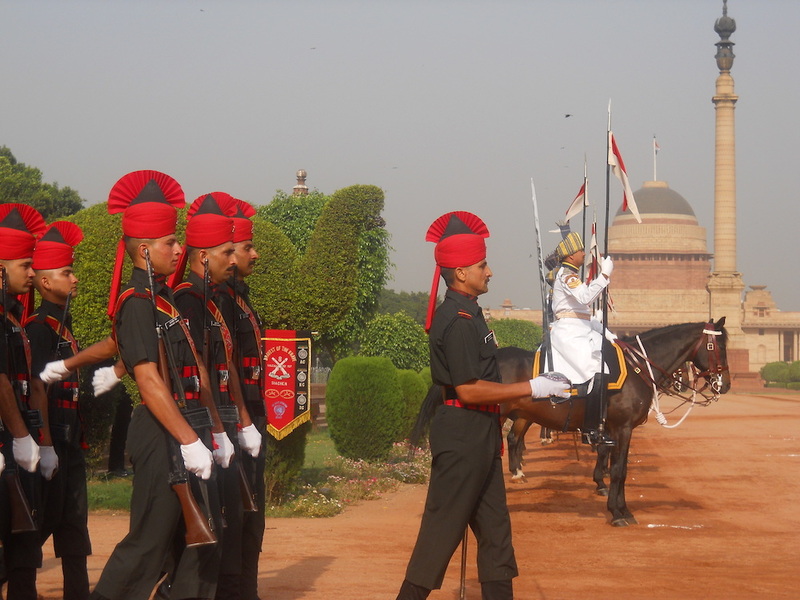 This ceremony takes place every Saturday at the Rashtrapati Bhavan in New Delhi. It consists on changing the old guards to the new guards from the President’s bodyguards regiment. It is fun to observe them marching along with the equestrian display. If you want to attend the ceremony, you should go to Rashtrapati on Saturday at 8 am in summer or 10am in winter. Not so far from the Red Fort, there is a very unusual hospital that only treats birds. The Jain hospital is located in the complex of Digambar Jain temple. It rescues sick birds brought by people and takes care of them. Visitors are allowed to observe the process of treating, bathing and feeding the birds from 8am to 8pm. You can’t miss it if you are in Old Delhi! So fun! Get closer to the Artists and Artisans of Delhi and immerse your self into the Indian Culture and art through the Kathputli Colony. Meet magicians, singers, dancers and acrobats and learn more about their struggles in life. 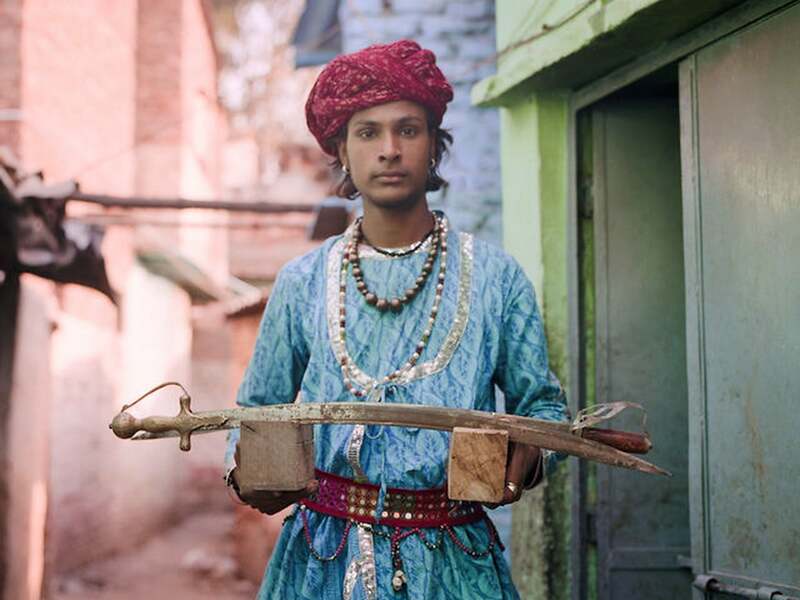 You can find the Kathputli community in “Shadipur Depot” in South Delhi or get a tour from your Hotel or Travel Agency if you don’t feel courageous enough to go by your self. This was a list for some out of the box acttivities you can do in New Delhi. 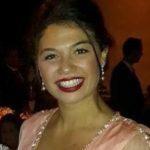 I hope this article will be helpful for those of you that are looking for a more unusual way to visit the city. Enjoy your readings and if you have any suggestion to complete this list leave me a comment and I will be happy to add it. If you liked this article feel free to share it with your friends in your favorite social media. 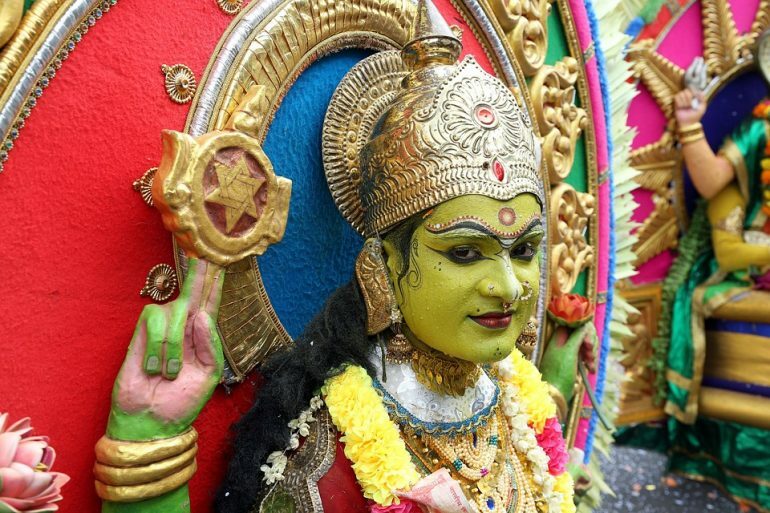 Previous articleAgra: How Arjun, a Stranger reminded me of who I really am!